This furniture quality unit with it's fine finish, will compliment the placement area. Great for RV-ing. The rubber feet assure minimum sliding of spice rack. 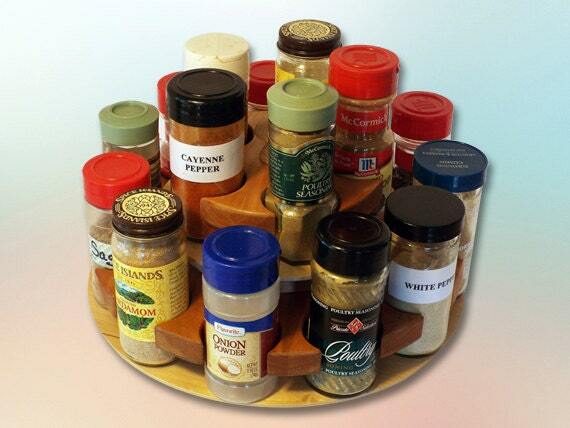 Accepts most spice manufacturers bottle sizes up to two inches diameter. Eliminates the mess made by transferring from bottle to bottle. Easy to find by rotating shelf... the spice comes to you! 16 station base 11" round by 7" high. Easy to transport while cooking or entertaining. 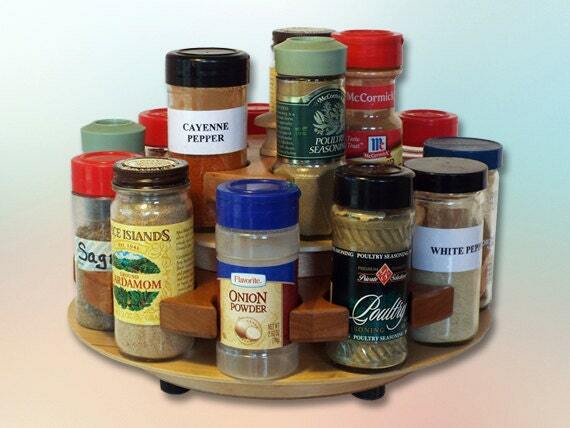 I love this spice rack so much!!!! It is really beautifully made and now both my mom and I have one. WE will treasure them forever! LOVE!!!!!!! 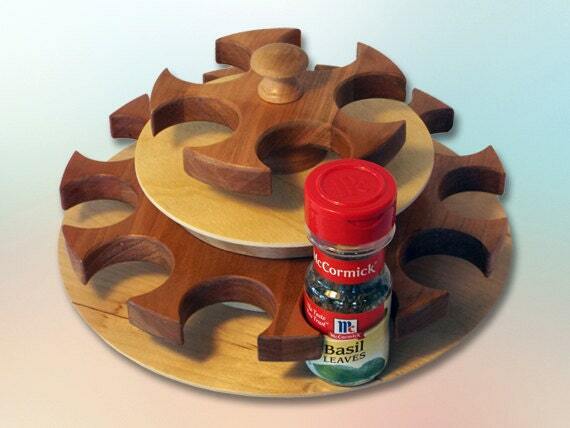 This spice rack is truly a work of art- it is beautiful and extremely well crafted!! 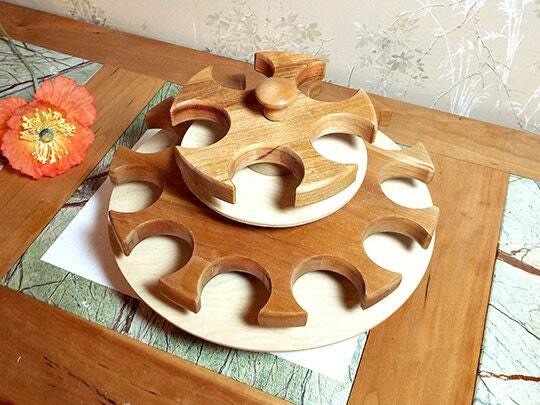 Definitley a perfect, one of a kind, gift for anyone who loves to cook :) !! Great gift, great quality! have to make sure to turn both left and right, as the screw tightens and loosen .